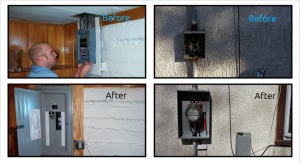 Have you ever glanced at your electrical service equipment outside and wondered if it was safe? A home electrical mast is the electrical wires and conduit that runs up the exterior of your house from the electrical meter and attaches to the overhead utility lines. 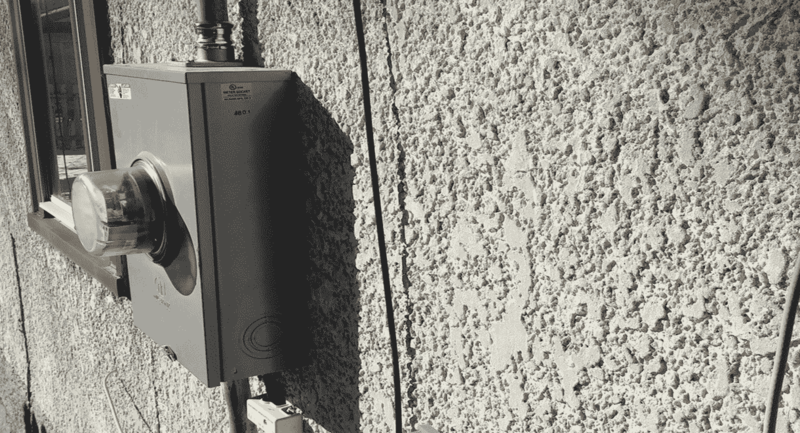 Here are three common reasons your service mast may need to be repaired or replaced! – Broken fittings in the pipe, hub or weather head: When an electrical mast is damaged in a storm, it is usually due to a fallen tree ripping the overhead power lines down. The degree of damage to the mast varies, but almost all of the time the wires inside the mast need to be replaced. 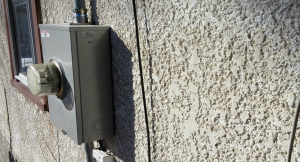 These types of breaks can be hard for the untrained eye to identify – it is best to have a licensed electrician look your electrical mast over to be sure it is safe. – Clearances: Generally speaking, the overhead electrical lines coming to your house need to be 10 feet above the ground and three feet away from open-able windows or decks. A common occurrence is when a homeowner has a deck built near overhead power lines and they need to be moved or raised to comply with the clearance requirements. – Service rating: When replacing an electrical panel you may need to replace your electrical mast and the electrical meter socket. The wires in the mast and the meter socket itself need to be rated to carry the load requirements for your home. An old 60 amp service that is being upgraded to 100 amps will need a mast and electrical meter socket rated for at least 100 amps.